Insurance law is what we do. We don't "dabble" in it. We're immersed in it. Since 1994, we have defended well over 14,000 lawsuits on behalf of insurance carriers and self-insured corporations. 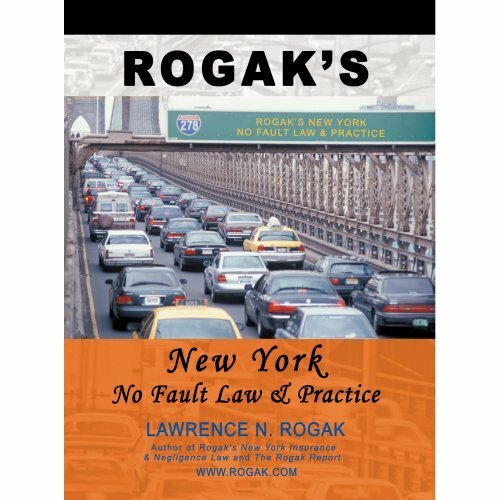 We literally wrote the book on New York no-fault law (Rogak's New York No-Fault Law & Practice) as well as the no-fault chapter in the New York State Bar Association's treatise, The Plaintiff's Personal Injury Action. Uninsured motorist and underinsured motorist claims are also a large part of what we do. When appropriate, we move for permanent or temporary stays of arbitration on such issues as the question of whether the adverse vehicle was covered, lack of contact, failure to report within 24 hours, and whether the injuries meet the threshold. The defense of personal injury lawsuits is one of our mainstays. Unlike some other firms, we do not simply go through the motions and bill the file; we use our background as claims examiners to maneuver and leverage litigation into a posture for good settlements, if possible. Coverage litigation is another area where we shine. We understand liability policies and first party coverage, and how policies interact with each other. Issues of late notice, timely disclaimers, and priority of coverage are our daily fare. We know that our clients want to resolve litigation, not litigate for the sake of litigating. Whether it is a simple sidewalk trip and fall or a complex construction accident, every claim has some kind of value. Understanding that value, and moving the litigation towards that value requires the kind of special skills and knowledge that we have been developing for over 25 years. "Your firm gives the best bang for the buck in the legal business." "Your books are the Bible of our claims office." "How refreshing it is to have counsel who is willing to give us a definite answer to a question!" "I like the fact that I can call your office and get a real live person who can answer my questions, all the time." "Your firm has some of the most conservative billing I have seen. You leave a lot of money on the table." "I wish my company would allow me to use your firm exclusively!"